Following the sales process is a strong focus of traditional sales training, but is it enough? Logic and practicality are one aspect of how buyers make decisions, but research and experience has proven that the emotional aspect is just as important. 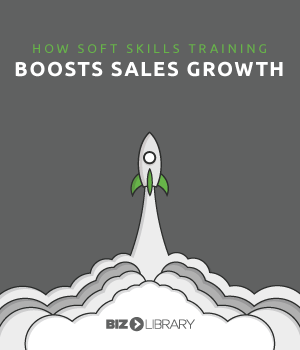 If your sales growth is stagnating, look at how your training helps sales reps to develop their soft skills, particularly emotional intelligence and problem solving. Soft skills play a key role in your reps’ ability to successfully turn a prospect into a client. Your training should teach them how to put themselves in their prospect’s shoes emotionally, so they can get better and better at overcoming any objection thrown at them and close that sale.